For life in the lap of luxury, there´s no place better than Preston Hollow. Just of the Northwest Highway and Central Expressway, you will find the gorgeous community of Preston Hollow. Here you will find homes on quiet streets and large lots, built in the grand architectural style of the chateaus of France. Life here is ideal. The huge lots and plentiful trees make it feel like you´re out in the country. In reality, you´re only 15 minutes away from all the recreational and cultural advantages of downtown Dallas. You can use the Property Search to select the exact criteria you´re looking for in a home in Preston Hollow. Before you go out looking for the perfect property, you can use this website to find all the information you need. Read our helpful buyer´s tips, find community information and obtain free real estate reports before you enter the real estate market in Preston Hollow. Served by the Dallas Independent School District, Preston Hollow schools have set elevated goals that they are determined to live up to. Preston Hollow schools endeavor to present their students with an exceptional education in a protected and supportive surrounding. Dallas Independent School District believes in joining with parents and the community to help in the development of character and necessary skills. The ambition of Preston Hollow schools is to foster inspired young adults who are influential in a global community. 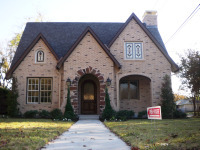 Invest in a distinguished education by looking into Preston Hollow properties for sale. It´s easy to see why people are relocating to Preston Hollow. Take a look at our featured listings to see what´s on the market currently. If you´re looking to sell your home, you can also run a current market value report to see what similar homes have sold for recently. Preston Hollow Park on Thackeray Street is one of the most beatific places in the neighborhood. Here you will find the typical amenities of a neighborhood park playground equipment for the little ones with plenty of benches and shades for parents to socialize. There is also a wooded area to enjoy and explore, where many like to take a relaxing walk after a long day. It´s a calm and peaceful oasis that offsets the bustling city life. Click here for more information on Preston Hollow real estate. Read more about me and how I can help you find a home in Preston Hollow. Please feel free to contact us.